Many people have experienced the failure of their marriage or relationship in their lives and the increase in marital breakdown seems to have increased in the last decade or so. Family law solicitors in Dublin have therefore seen a rise in their business with a wide range of family law problems arising. 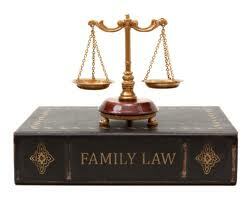 to name the most common problems faced by family law solicitors in Dublin. Couples, either married or unmarried, face a difficult and uncertain time when they split with raised emotions and mounting financial difficulties adding to the mix of emotions and tension. In situations like these it is vital that a professional and trained solicitor who has experience and training in this area can help to defuse heightened emotions and facilitate a clean break if that is what is desired by both parties. A solicitor will advise, where appropriate, that couples should attend the excellent and free family mediation service which is provided by the Department of Community, Equality and Gaeltacht Affairs under the Family Support Agency. and any other issues that the parties wish to include. 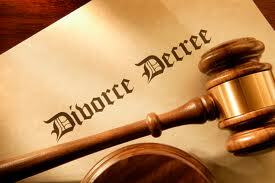 A deed of separation is a different option to a judicial separation as the latter will involve court proceedings which may prove more costly in the long run although it will also allow the full range of court orders concerning finances and property to be made by the court on application by either party. barring order and so forth. Maintenance orders are a common application by one party or the other which seek to obtain a Court order ordering the respondent party to pay financial support for dependent children of the relationship. As can be seen from the above there are an enormous range of family law problems which your solicitor can assist you with. If you need family law legal aid solicitors Dublin is on the family law legal aid panel for the District Court in Dublin and if you need any assistance in making an application for legal aid please contact us. You may also be interested in reading about free legal aid in criminal matters.